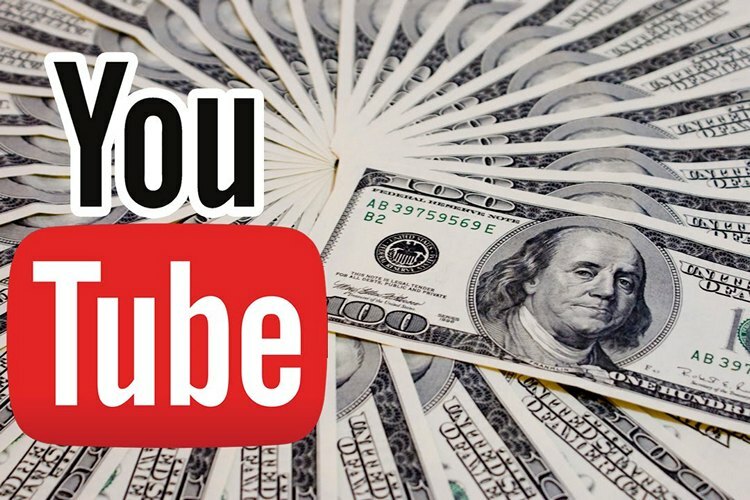 YouTube means big money these days and nothing exemplifies this more than Forbes’ recently-released list of the highest-earning YouTubers. The list includes some of the usual suspects like Evan Fong (VanossGaming) and Felix Kjellberg (PewDiePie) who have regularly featured on the list over the past few years, but there are also a few newcomers like Lilly Singh, who was always popular for her comedy skits, but has managed to squeeze into the top ten for the first time. There’s also one YouTuber who’ll simply melt your heart with his antics that have deservedly landed him in the top-10 list. In case you’re getting impatient for all the top, here are the top 10 highest-earning YouTubes of 2017 according to Forbes. British Minecraft player DanTM has over 11 billion lifetime views on his channel and has emerged as the highest-earning YouTuber this year, replacing the controversy-ridden PewDiePie at the top of the chart. Evan Fong is a highly popular YouTuber with a whopping 8 billion+ lifetime views and over 21 million subscribers. In the unlikely event that you haven’t come across his videos already, he plays popular games like Grand Theft Auto and Call of Duty, with sponsors said to shell out as much as $450,000 to appear in his videos. If you liked MTV Jackass, chances are, you like these guys. They pull crazy stunts to impress their audience and going by the numbers, have been insanely successful in their endeavor thus far. If you haven’t checked them out until now, you should check out their viral video where they wrestle each other while encased in bubble wrap. Tied for the fourth place are gamer Mark Fischbach (Markiplier) and vlogger Logan Paul. While the former has 19 million subscribers and is known for his dramatic commentary on popular games, the latter is a vlogger who has branched out with his own clothing brand ‘Maverick’. After topping the charts two years in a row, various controversies surrounding his views about Jews, Africans and others have seen the gamer dropping down to number six, with many advertisers choosing to distance themselves from him. YouTube removing him from its ‘Google Preferred” advertising service is also believed to have hit his earnings hard this year. Logan Paul’s Brother, Jake Paul, comes in at number 7 with his own vlogs. He is a bonafide ex-Disney star and also has a digital talent management company of his own. While the comedy duo of Anthony Padilla and Ian Hecox comes in at number 8, they have to yield the limelight to the little guy they’re sharing the podium with – a six-year old kid called Ryan (Ryan ToysReview) who reviews toys and candy on his channel, making him a multi-millionaire even though, he very likely doesn’t even realize it. Last, but definitely not the least, there’s comedian Lilly Singh, whose skits have made her wildly popular on YouTube with sold out shows on her recent world tour. She also received a six-figure advance on the New York Times bestseller ‘How to be a Bawse’. So that’s it, folks, that’s the entire list. So do you subscribe to any of them? Do let us know by leaving a word or two in the comment section below, because we love hearing from you.